Lenscraft Photoshop Tutorials Struggling to Photo Blend in Photoshop? 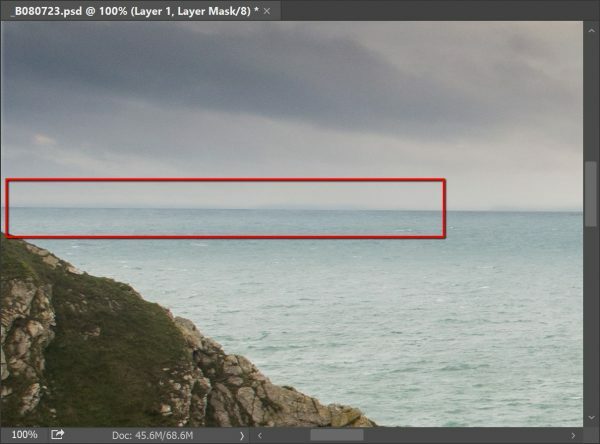 Struggling to Photo Blend in Photoshop? One of the questions that seems to be asked quite frequently is how can I do a photo blend in Photoshop. Typically, people have two photos and want to blend them together to create a new image. This article is intended to help you understand how to do this using a simple example in Photoshop. 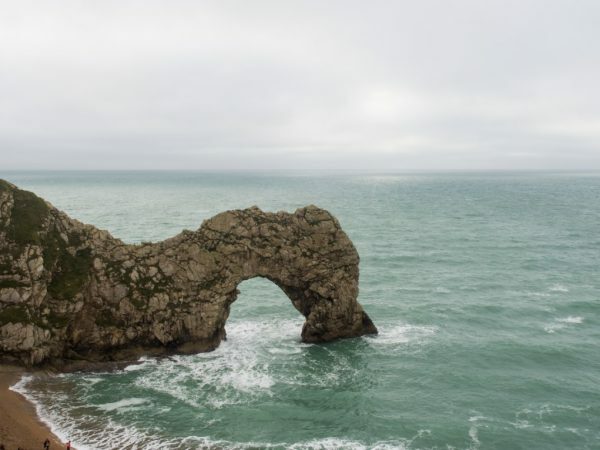 In the following photo you can see a rather boring image of Durdle Door in Dorset where the sky is very weak. To improve the image, we need to replace the sky with a sky displaying more cloud and definition. In the next photo you can see an image which contains the sky we want to use. The nice thing about these two images is that they have a clean horizon with no obstacles in the sky. This makes it quite easy to blend the two images together using Photoshop. Had there been a more complex horizon we would need to use a more complex technique called channel masking. Whilst we won’t cover channel masking in this tutorial you can read about it in my book “Photoshop Layers”. Open both photos in Photoshop. 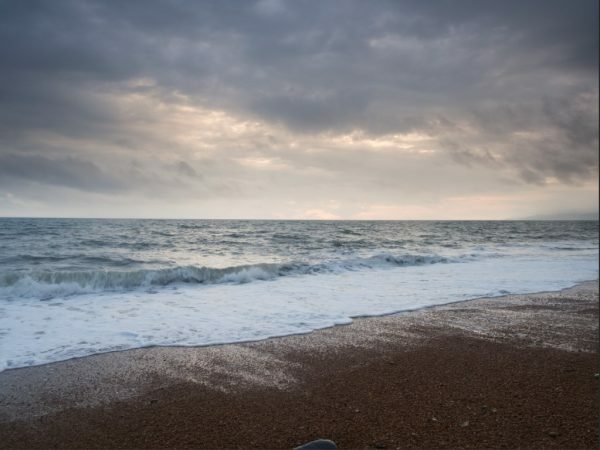 Make a selection of the sky you want to copy using the rectangular marque tool. You can see the tool indicated in the next screenshot as well as the sky having been selected. Copy the selection. Use “Select | All” in the menu then select “Edit | Copy”. 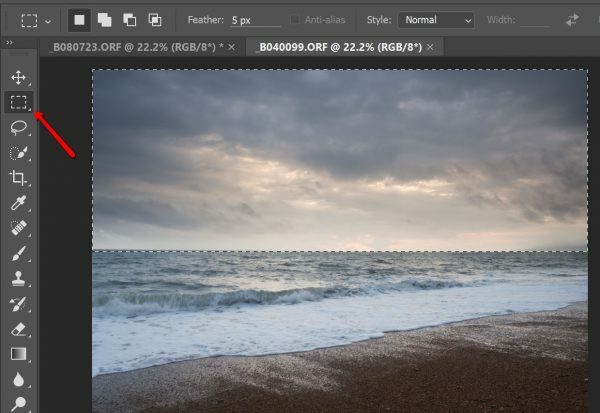 Switch to the image which needs to have the sky replaced and paste the sky you have copied using “Edit | Paste”. The sky will be added as a new layer. You can now use the Move Tool as indicated below to reposition the sky. 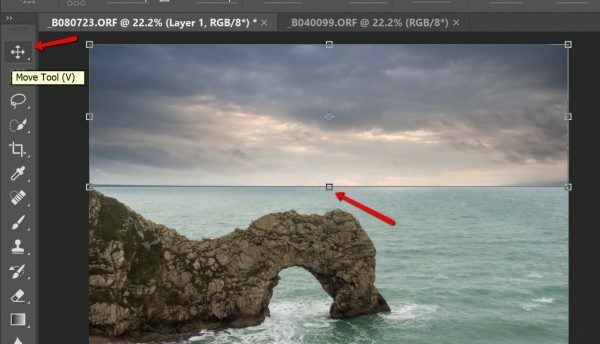 Also be sure to use the handles (also indicated) to resize the sky so that it aligns with the horizon. At this point the two images have been added together as shown below. The join produced by this example isn’t very believable for two reasons. Firstly, the lighting is wrong as one of the images was taken around midday and the other late in the day. Secondly, can also see the sea from the sky image along the horizon (as a slightly darker line) so we will need to clean this up. To clean up the horizon we will add a mask on the sky layer. This can be done using the “Add layer mask” icon as indicated in the screenshot below. 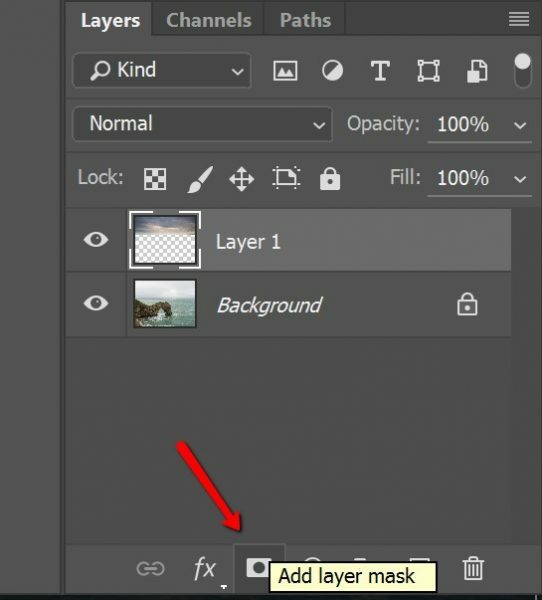 Click the add layer mask icon as indicated whilst you have your sky layer selected. 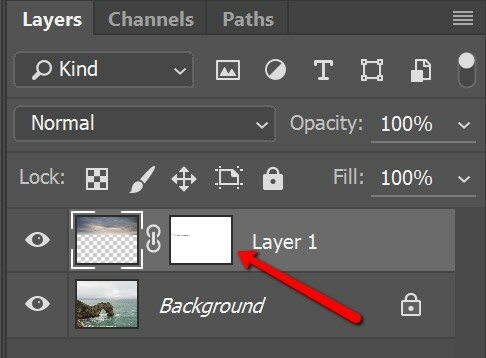 This will add a new empty layer mask to the layer as indicated below. Next, select the brush tool and set the colour to black, the opacity to between 10-30% and the brush size to a small radius where you can work on the detail of the horizon. Be sure to click on the layer mask in the Layers window to select it. You can then paint out the areas you want to hide. You can now zoom in to 100% magnification on the horizon and begin to paint out the unwanted area. The reason we set the opacity to a low level is so that we need to build up a number of brush strokes to apply the change. This leads to a more believable edit to the image as shown below. Finally, we can tackle the problem of different lighting between the sky and sea. 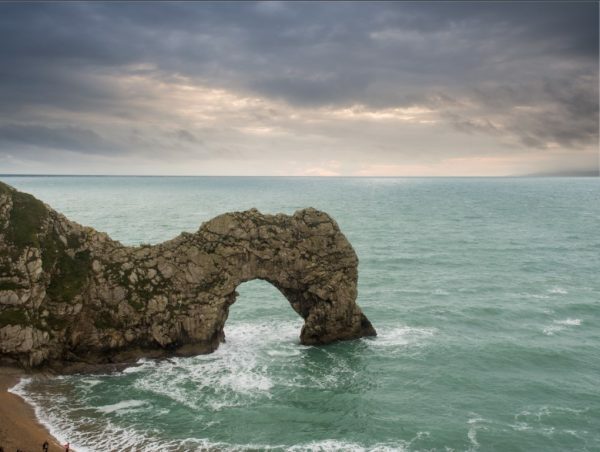 We could create a colour correction adjustment using the Curves Tool and clip this to the sky layer so that only that layer is adjusted. This would be quite a difficult adjustment and only result is an OK colour image. 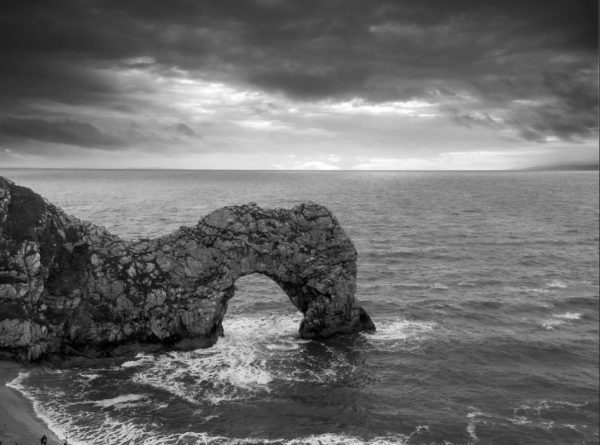 A better option with this image is to create a black and white conversion as shown below. This is a simple example using Layers and Masks in Photoshop. If you would like to explore more advanced, flexible photo blend techniques, please see my book “Photoshop Layers”. Visit my Adobe Photoshop Tutorials page to browse through all the Photoshop tutorials on Lenscraft. If you still can’t find what you’re looking for there’s a handy tutorial suggestion form. Receive my monthly Lenscraft inFocus Newsletter. Packed with valuable tips, information and special discounts. No SPAM emails, I promise. Thank you. You will receive a confirmation shortly. Join my mailing list for the latest news and monthly newsletter. Thanks for subscribing! You will receive an email confirmation shortly. Email frequency: 1 or 2 emails per month. Unsubscribe at any time.